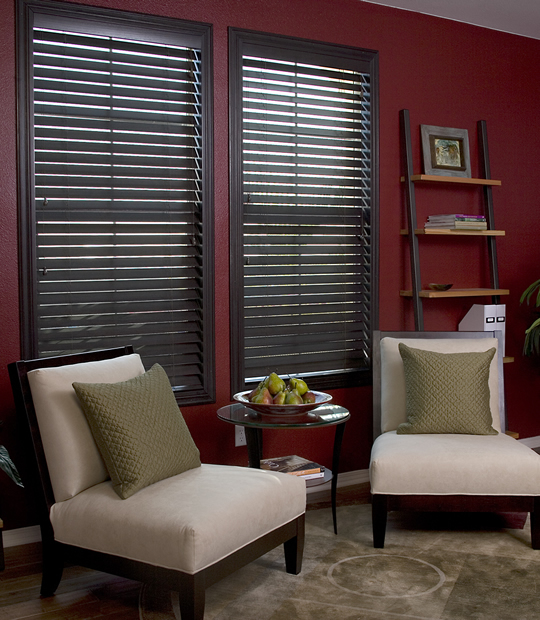 Furnish your house in style with custom faux wood blinds while staying on budget. 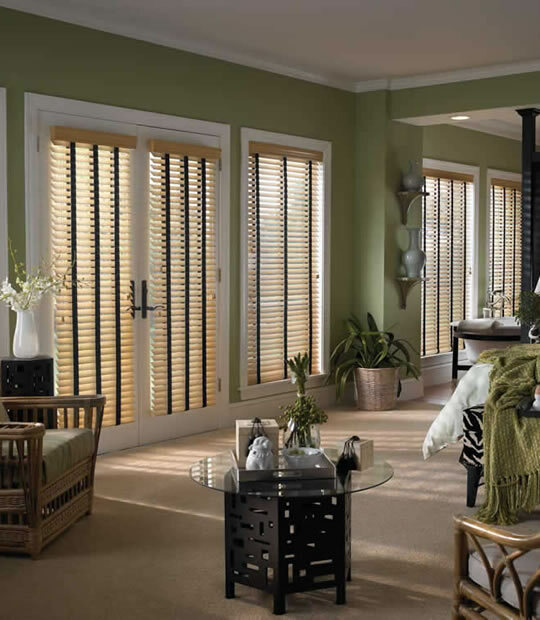 The faux wood windows blinds are the highest selling window blind in the USA today. 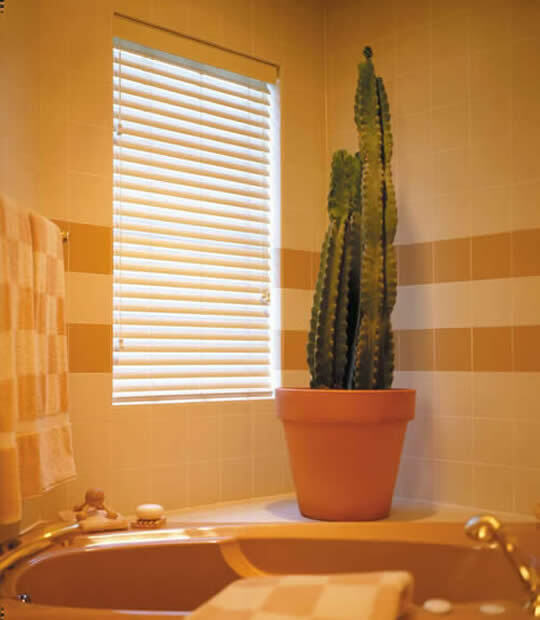 It is an excellent alternative to wood blinds, especially for the areas with high level of humidity or heavy traffic. They are resistant to breaking, chipping, warping, and cracking. They are also durable and easy to clean. 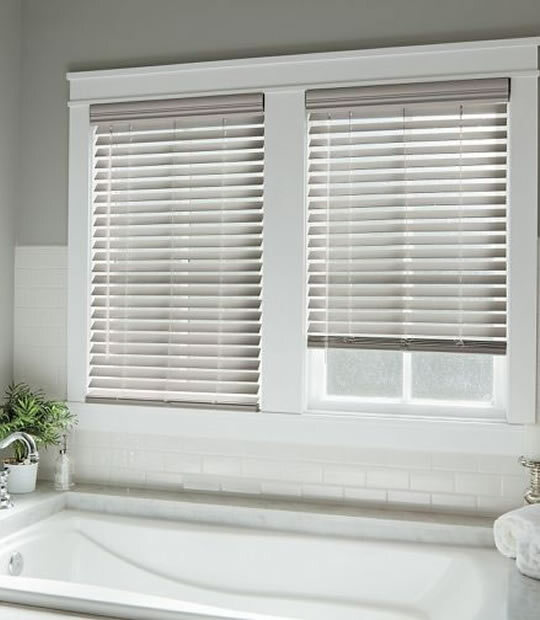 This type of blinds will be perfect for your bathroom, kitchen, and lobby windows. Lasting durability. 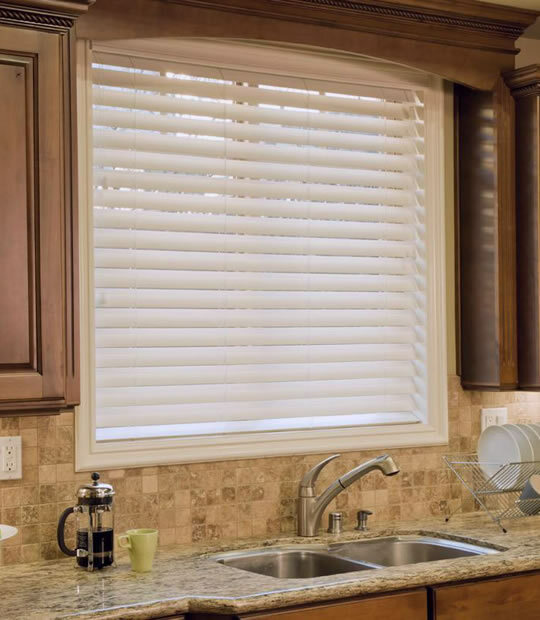 Faux blinds are manufactured from a composite PVC allowing the blinds to stand up to tear and everyday wear. They don’t fade, chip or crack. They are also moist-resistant which makes them perfect for humid environments. The Beauty of wood. 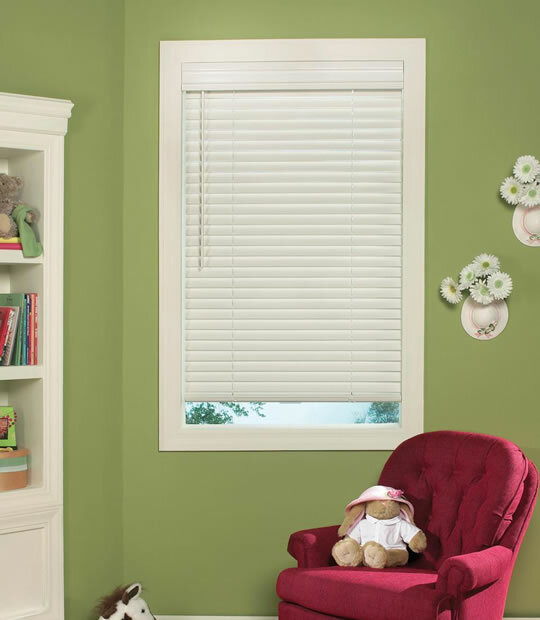 Textured or smooth finishes available in a variety of colors make faux blinds look like genuine wood. Easy maintenance. Whether you buy faux wood plantation blinds or traditional ones, they won’t make you work hard to maintain their fresh look. Faux blinds are easy to clean and manage. They can be wiped or rinsed with a hose since they are resistant to water. Recyclable and environmentally-friendly. 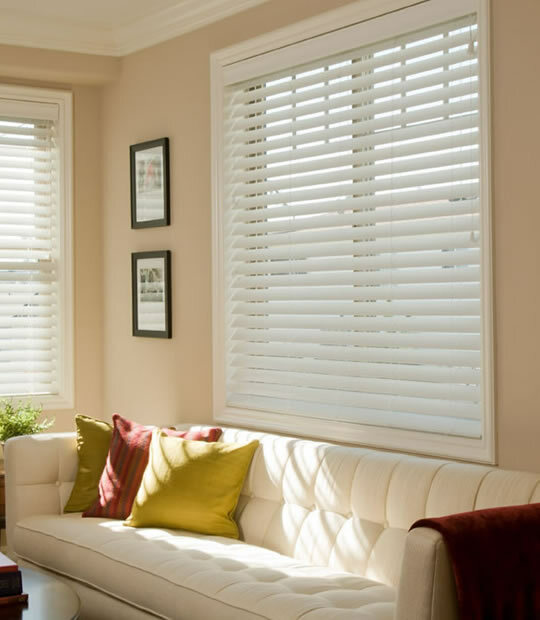 By purchasing faux blinds, you are contributing to a reduction of the amount of trees that get cut down. To make even more eco-friendly decision, you can buy recycled blinds. Lower cost. 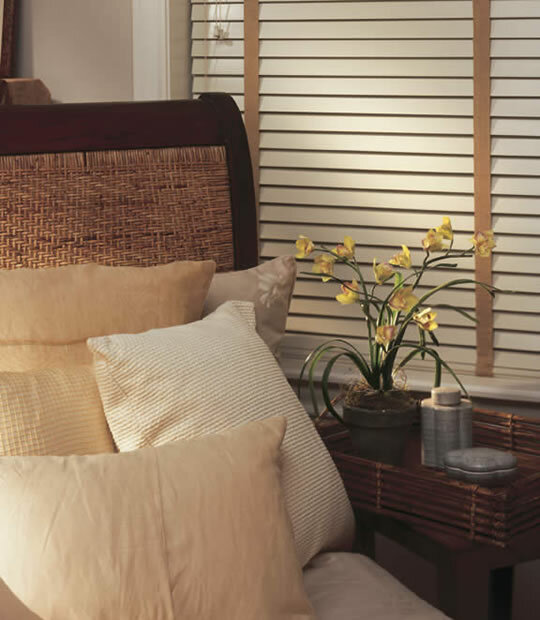 Faux wood blinds are more affordable and economical than wood blinds. So, if you are on a tight budget, these window treatments will be your perfect choice.